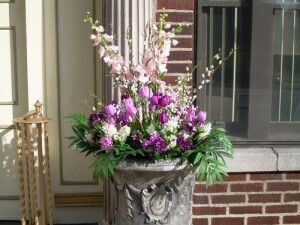 Our discerning client base has come to rely on our beautiful and unique container plantings to enhance their homes. Our trained staff will create one or more lovely containers filled with colorful flowers and plants to fit your desires and budget. In an effort to assist our valued customers during these financially difficult times we have decided to increase our selection of container gardens. A container offers affordability, ease of care and countless options. Whether planted with five foot tall areca palms for that striking oasis look or a vast assortment of colorful plants, a container’s final appearance is boundless. A container is always the answer, from full sun to dense shade and from the simple to the sublime. You may have a “nothing will grow there” area -consider an exquisite planter. The actual container’s cost will vary with its size and style but virtually anything that will hold soil is a potential planter. You may already have large vessels that we can fill with the appropriate soil mix, fertilizer and flora. A container of delicious vegetables and fragrant herbs can also be yours to savor all summer long and dry for use through the winter. 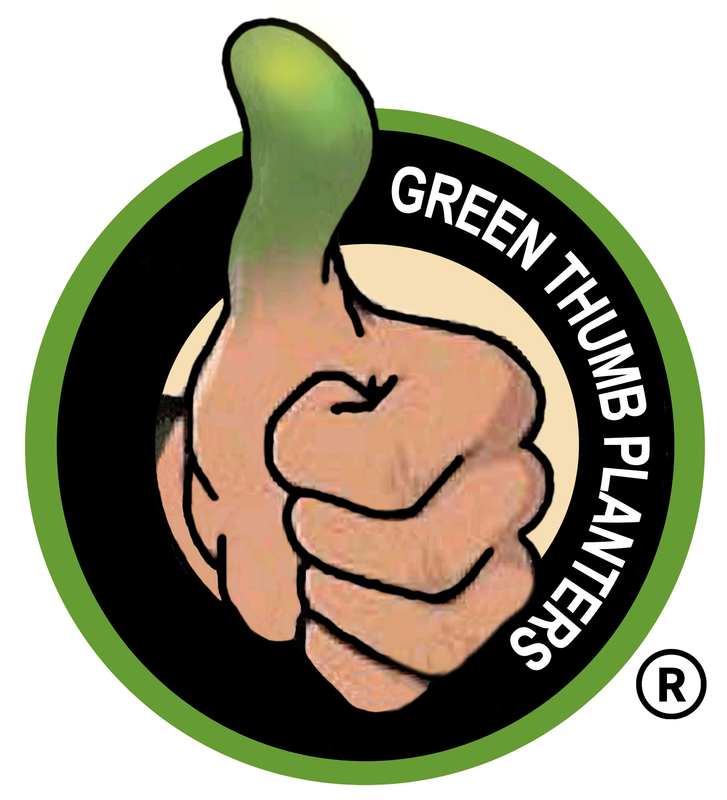 Our “Green Thumb Planters” come to you with all they need to thrive all season long. Just add some TLC and water as appropriate.